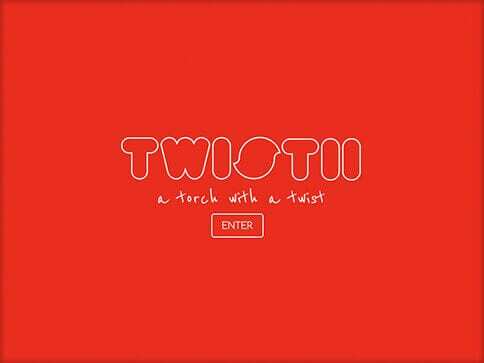 Twistii is a new innovative personal torch that is being developed to aid those occasions when a held held torch is not convenient. The product is in the final stages of development and will soon be launched on some well known Crowdfunding sites. 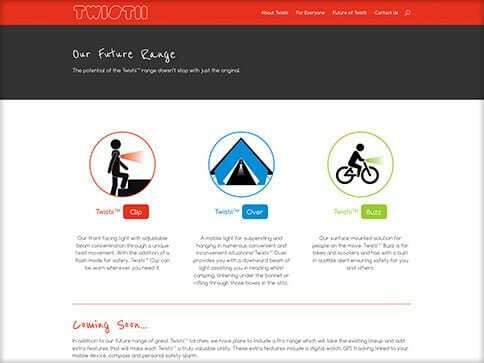 The site we built is currently a brochure style website, aiding the promotion and communication of the torches design, function and benefits. Twistii has plans to push forward into production and the ability to sell directly through the website was to be considered. As a result the new site has the in built functionality to ‘switch-on’ and add an eCommerce facility. 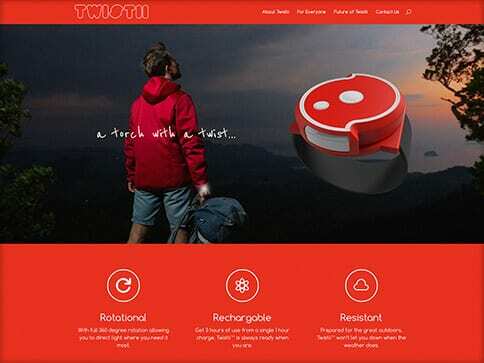 As the product is due to be launched on Crowdfunding, we are assisting in the management of this, and we are also managing the SEO and Social Media channels.